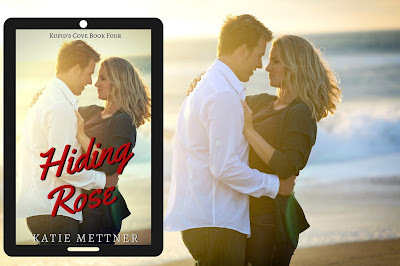 We're only a week away from the release of Hiding Rose! I think it's time for an excerpt, so here's the prologue of the book. You might remember Rose from the Snowberry Series. She was Kate's receptionist at the law office and Winifred helped her mother out of a tight spot in Wicked Winifred. 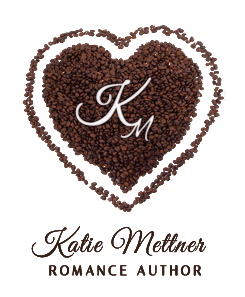 It's time for Kate and Rose to find each other again, and this excerpt is the introduction to how. Enjoy! My blood ran cold as my head snapped backward. If I didn’t do something instantly, he was going to kill me. I backed up, looking for anything to defend myself with, but there was nothing. He was nearly twice my size, which meant I couldn’t fight him off myself. Where did you go wrong, Rosie? I asked myself as his fist caught me in the gut. “I’m not going to let you ruin my life!” he screamed angrily, as his fist pulled back for another round. I ducked, sharp pain shooting through my abdomen and my breath caught. I’m going to die here tonight. I dodged away from him toward the patio door, desperate to escape. I scrambled toward the door, as he grabbed for me, kicking backward and catching him in the chin. He reeled in the air for a moment, giving me precious seconds to get to my salvation. As I struggled desperately to unlock the doors he jumped me, growling and hissing in my ear like the monster he had become. I haven’t seen this side of the man before, the side of him that was all animal. His spittle flew as he raged against whatever indiscretion he thought I committed. I noticed too late he had a gun. I stared at it, the moment surreal as I noticed the beauty of its miniature mother of pearl grips. The gun was small, but it would still be deadly. He raised the barrel and pulled the trigger, the bullet spiraling out and lodging in my thigh. I could feel the bullet tearing through the tissue and bone as it traveled through my leg, burrowing like a mole in the ground. I threw my hand over the hole and noted, in an out of body way, it didn’t hurt as bad as I expected a gunshot to hurt. I was surprised by how easy it was to detach yourself from your own body, when you understood death was imminent. The gun glinted off the light in the kitchen and his eyes told me this time, he wouldn’t miss. I had precious seconds to get away, but with my leg injured I couldn’t stand, much less run. “I’m done with women pretending to be good girls when they’re nothing but whores,” he hissed as he leveled the gun at my chest. No longer in my body, but standing off to the side watching the hell my life had become, I noticed a steel pipe he used as a lock for the patio doors. My soul screamed for me to lunge for it. I wrenched the pipe out of the door recess and swung, praying for my life. The metal connected with his hands and the gun flew across the room. His head swiveled to follow the gun and the movement gave me the time I needed to end this. I struggled to stay standing as I raised the metal bar in the air. I swung it around as if I was hitting a line drive down the left field, and it connected with his skull with a sickening crack. He wobbled momentarily and then collapsed, a trickle of blood dripping from his ear. I scrambled for the gun in the living room, pointing it at him with one hand as I ripped my phone from my pocket. Only one person would know what to do. I struggled with the phone while finding something to stop the blood gushing from my leg. I held the phone under my ear while I wrapped a blanket around my leg, the gun wavering in my left hand. “Kate?” I whispered, my voice hoarse as my stomach ached and cramped from the beating, and the sheer terror filling my soul. “Rosie, I’m all the way in Hawaii. Where are you? I’ll get you help,” she said frantically. “I’m hurt, Kate. He hurt me and I’m bleeding now. I think he might be dead. Help me, Kate,” I cried, the pain in my stomach worsening. I moaned, bending over to grasp my stomach. “I’m hurt, Kate,” I said, the blanket now a crimson red as it did little to stop the flow of blood. “I know, sweetheart. I called an ambulance and the Snowberry Police. Can they get in the house?” she asked calmly. I shook my head and tried to clear it of the fuzziness around the edges. “Fron—, front door, I think,” I said, my teeth chattering. “He’s waking up, Kate! He’s waking up,” I screamed as Jarrett began to writhe on the floor. “If he wakes up, I’m going to shoot him,” I whispered into the phone. I listened for the sounds and after a few heartbeats I heard them. “Yes, yes I hear sirens!” I said relief washing through me, until he got to his hands and knees. He shook his head a couple of times and staggered to his feet. “He’s up, Kate!” I yelled into the phone. “I have to shoot him,” I whimpered as he lurched toward me growling. The cops wouldn’t get here in time, Kate and I both knew it. I looked down to the blood soaking the floor and concentrated on the heat building in my gut. I raised the gun and pulled the trigger. It was the last thing I remembered.